Faustina Taglienti (nee Perna), 87 of Chatham passed away with her family by her side on September 12, 2018. 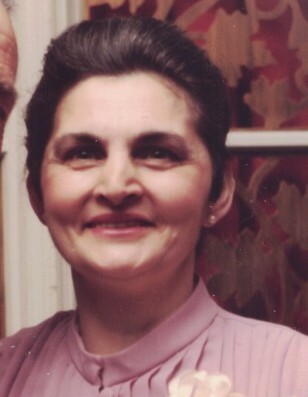 Beloved wife of the late Armando Sr.
She was the mother of Maria Molinari her husband James, Loretta Galante, her husband Steven, Armand Taglienti and Danny Taglienti his wife Cathy. Grandmother of Steven Jr. & Jason Galante, Matthew Taglienti and Alyssa Taglienti. Sister of Valentino Perna wife Karen, Rita Reali. Survived by many nieces and nephews and great nieces and nephews. Also she leaves behind her many dear relatives in Italy. Faustina was born in Monte San Giovanni Campano, Province of Frosinone, Italy. She immigrated to the US in 1952 after marrying her husband Armando. She and her husband raised their 4 children in Orange, NJ before moving to Chatham 1971. She was the quintessential Italian cook, preparing both daily and holiday meals and desserts all from scratch. Most of the vegetables served at these meals were picked from her garden. Her skills as the family seamstress were beyond compare, making clothing for all the special occasions for her daughters and warm sweaters and socks for her boys. A funeral service will be held in the Galante Funeral Home at 54 Roseland Ave. in Caldwell NJ on Saturday at 10 AM. Interment will follow at Gate of Heaven Cemetery in East Hanover. Visitation is on Friday from 2 -5 PM.